Are you missing the feeling and reality of Village in your life? Are you are looking for ways to build a community of caring and happy adults and elders around children and gardens living in harmony with Nature? The community of life is at such an imbalance that our world is facing a global crisis - not only ecologically, but threatening the very fabric of human culture. Patterns of historic trauma around the world have contributed to a monumental loss of culture and the legacies of ancient wisdom traditions, resulting in a mass amnesia and the breakdown of inter-generational mentoring communities supporting future generations of humans living together with Nature in balance. It's time to reclaim our humanity and rebuild our villages - from the inside out. Join me this Monday, July 10 at 12 pm Pacific for a special FREE WEBINAR with Jon Young, founder of the 8 Shields Institute and the Art of Mentoring. Join live or sign-up to get the recording. In this webinar, we'll be talking with Jon about how the invisible structures of Village Building techniques and the 8 Shields Cultural Mentoring model can be been applied to help individuals and communities around the world develop deep connection, both on a person-to-person level and with the larger world of Nature. 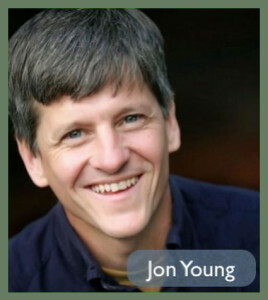 Jon Young is a nature connection mentor, naturalist, wildlife tracker, peacemaker, author, workshop leader, consultant, sought after public speaker and storyteller. As a leader in the field of nature-based community building over 30 years, Jon's research into the impact and significance of nature on human intelligence and development has influenced tens of thousands of people worldwide. Trained from an early age by renowned animal tracker Tom Brown Jr. , and later by Lakota elder Gilbert Walking Bull and many other indigenous leaders from around the world, Jon has delved deeply into the arts of nature awareness, holistic tracking, bird language and ancestral living skills– fundamental knowledge that shaped the formation of human neurobiology and the way our species connects and learns. He has appeared as an expert in numerous documentaries concerning nature and ecology and travels to teach widely throughout North America, Europe, Australia and southern Africa. Jon has authored and co-authored several seminal works on nature connection and connection mentoring, including What the Robin Knows: How Birds Reveal the Secrets of the Natural World (2013), and Coyote's Guide to Connecting to Nature (2007). In 2016, he received the Champion of Environmental Education Award for his innovative work, which has inspired positive developments in the field, and fostered the growth of the nature connection movement on a global level. As co-founder of the 8 Shields Institute and OWLink Media, Jon has established an international network of consultants and trainers working to cultivate effective nature connection mentoring programs in communities and organizations. As the originator of the 8 Shields model, a best-practices process for nature connection mentoring, Jon has implemented vital advancements in the regeneration of nature-based cultural knowledge for the benefit of current and future generations. Deep in all of our roots, there are stories of our ancestors living in healthy, regenerative communities—villages where people of all ages were in deep relationship with the land, each other, and themselves. Join Live or Get the Recording by Registering Here. I have had the opportunity to learn first hand from Jon over the years, which was deeply transforming for me and informs my life and my work to this day. I can't say enough about the tools Jon is holding and how valuable they are for anyone intending to design the cultural and village architecture to build thriving, resilient communities. I hope you can join us for this timely webinar and get a taste of what Jon has to offer, as we need these tools and structures more than ever before. It's Time for the Village again.